Has living in a beach house always felt like something of a dream? At Catherine Hill Bay, there are properties just waiting for you to invest in your dreams and turn them into reality. 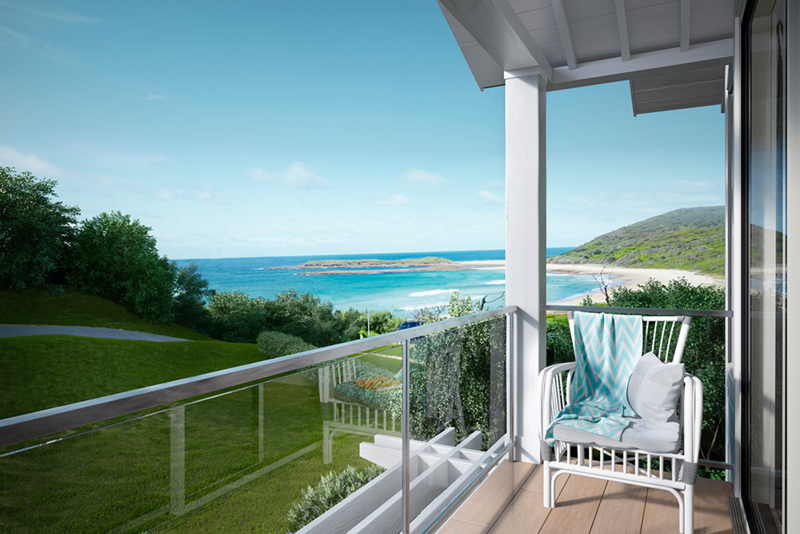 From sweeping ocean views and a home that is designed with luxurious living in mind. From the ornate street lamps to the rolled curbs, and breathtaking views. Beaches Catherine Hill Bay is transforming a dream into a thriving, sustainable beachside neighbourhood, and a place you will love to call home. Living a lifestyle that embraces all the comforts and amenities of beachside living. Beach living allows you to take a deep breath and relax. When you fall asleep lulled by the sounds of the ocean, you'll feel at peace in a way that you don't anywhere else. At Beaches Catherine Hill Bay, you can have that tranquillity every day of your life. Your beach home will quickly become your personal paradise: a slice of your dreams that you can carry with you wherever you go. In the Catherine Hill Bay community, you'll also find all the modern conveniences within a short distance. You will be able to take care of your shopping, take the kids to school, or complete other errands within a relatively short distance of the community. Quality medical care, including both emergency care and routine care. Great schools where your children will receive a high-quality education. Fabulous retail centres where you can enjoy all the shopping you want. You are only a 90-minute drive to Sydney so that you can enjoy all the conveniences of the city whenever you desire. Returning to your relaxed lifestyle and beach house at a moments notice. And Newcastle is just 30 minutes away. The hospitals, schools, and retail centres are just ten minutes from your doorstep. Providing you with all the benefits of modern living, and the joy of a beach lifestyle. Even with the world just a few minutes outside your doorstep, your home will remain your personal haven. The tranquillity of the beach there whenever you need to relax. Living in a beach house can change your lifestyle forever. You'll find that you're more active as you make excuses to go for walks, hit the beach, and enjoy the amenities of the community. A wonderful way to get in better shape and feel better. Take a deep breath, breathe in that salty air, and feel the cares of the outside world slip away every time you come home. Beach living will help decrease your stress levels, making you feel more peaceful and allowing you to enjoy a healthier lifestyle. Beach house living is like living in another world. At Beaches Catherine Hill Bay, you will also get to enjoy all the fun of life at the beach with the convenience of the modern world just a few miles away. If you're ready to move into the home of your dreams and start enjoying the life you've always wanted, you can download our latest brochure below for more information. These homes offer an unprecedented opportunity that you will not find just anywhere else.